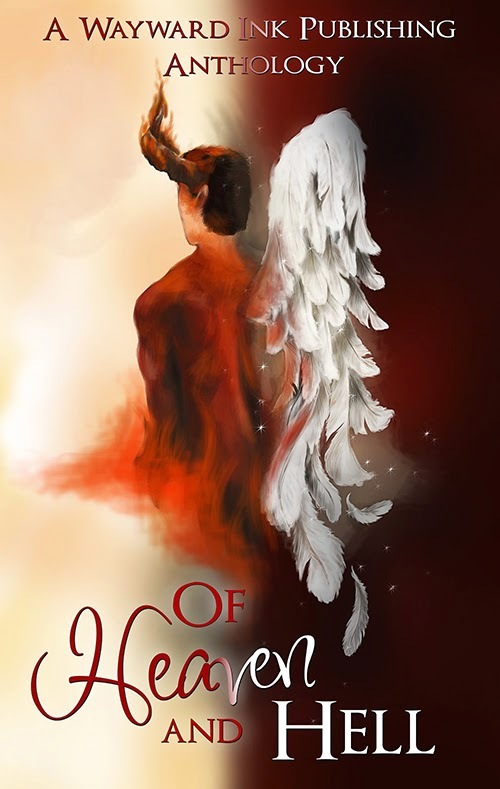 Today is the cover reveal for Wayward Ink Publishing's forthcoming anthology, Of Heaven and Hell, featuring my own short story, 'A Twenty-First Century Demon', writing as Asta Idonea. 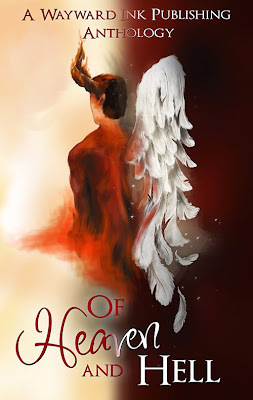 If you like hot MM stories featuring angels and demons, then read on! Below you'll find information on all the stories in the collection, including a link to an audio excerpt of my own tale. Whether you like them angelic or demonic, we have a story for you. Our authors have tuned up their harp strings, and let loose their inner demons. We have demons with inner angels itching to be let loose. And angels teetering on the brink. We have dark. We have light. We have angst. And forbidden love. We have the stories OF HEAVEN AND HELL. Tenrael was once a proud demon who carried nightmares to humans. Now he exists in miserable servitude to men who plunk down ten dollars to fulfill their dark desires. That is until he meets Tenrael. Bailey discovered that losing the person you love can do more than break your heart. It can shatter it into a million different pieces. And have you stepping into darkness. All he wanted was to be reunited with Greyson. He didn't know his actions would lead him to his nightmare. Earnest anti-gay evangelical Hubert dies in a freak accident. When a handsome angel named Bartholomew makes brazen overtures in the Afterlife, humble Hubert realizes his soul may have taken a wrong turn. But turning back to the straight and narrow isn't quite as easy as he hopes it will be. Black magic, angels, and decadence bind Jacob and Ozzie together in a twisted web of fascination with each other. Now a new element has risen to test them: Danger. It should have been an easy job: a contract signed and a new soul earmarked for Hell. But when suave demon deal-maker Saul chooses nerdy Thomas Ives as his next target, little does he know what lies in store. For the demon who torments him. Will they both burn in hell? One of them has no past. Loss is inevitable, but when demons come calling, a soul is too high a price to pay. A Guardian Angel’s whole being is controlled directly by God. So when he meets his new human charge—a special college student named Rory—he doesn’t count on feeling attraction. And he certainly doesn’t expect Rory to change his life… forever. For centuries Carduus followed his incubus nature. Joyfully seducing and draining the life force of his lovers. That is, until the day he met Mark, a lover Carduus didn’t want to kill. Before he knew it, Carduus found himself helping the detective by taking out criminals. But can a demon really work for the side of the angels? Finding an appropriate outfit to wear for an important date is never easy.